At Alliance Maintenance we like to think that we have the best cleaning team in the business! Why? Because we hire highly talented onsite and support staff, as well as supervisors to ensure everything runs as smoothly and efficiently as possible. All of this makes for a great work environment! But don’t take our word for it… read our staff stories for yourself. The way I’m treated at Alliance in comparison to other cleaning companies is like night and day. Here, at Alliance, I have a really great support team that I can reach out to if I ever have a question, a concern or just need someone to talk to. The level of support you get as a cleaner is unlike any other company. At Alliance we take “clean” seriously. Strata organizations and building management companies hire Alliance to take care of their properties – and the entire team works together to achieve the best results for our clients. We pride ourselves in what we do because we’re like family. When I started working at Alliance, I started out as a cleaner… today I am an operations supervisor and I manage over 16 properties. The management team really takes the time to teach you and help you grow, and I’m an example of that. 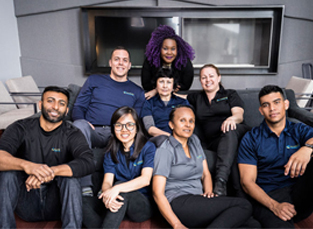 Aside from believing in their staff, they take great pride in delivering excellent customer service to their clients, and that’s why anyone looking for a cleaning service for their building should consider Alliance. From your first day on the job staff members go out of their way to make you feel welcome – they really try to make it a positive work environment. The managers are always there to help and support you, which is important to me. I take every opportunity to learn and grow from other Alliance team members around me. And, at the end of the day, I feel very appreciated. The Alliance management team understands that a happy employee will perform the best. So they take the time to ensure we’re well supported. It shows in our work and I know the clients appreciate it. It’s a win-win situation for everyone.